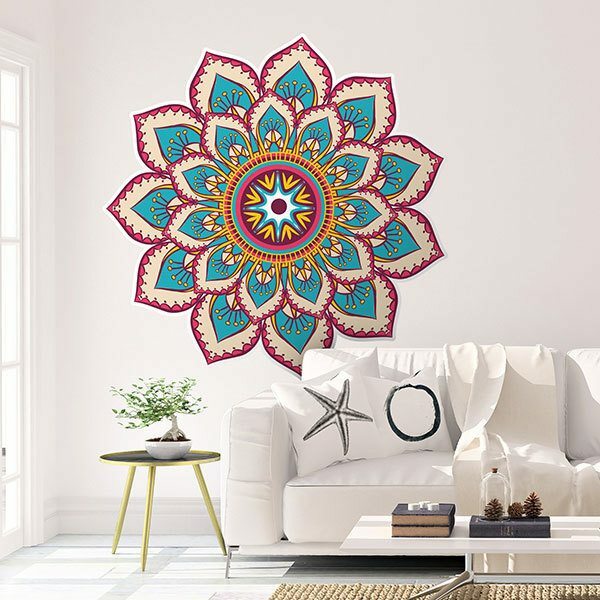 Wall sticker Hindu Mandala. 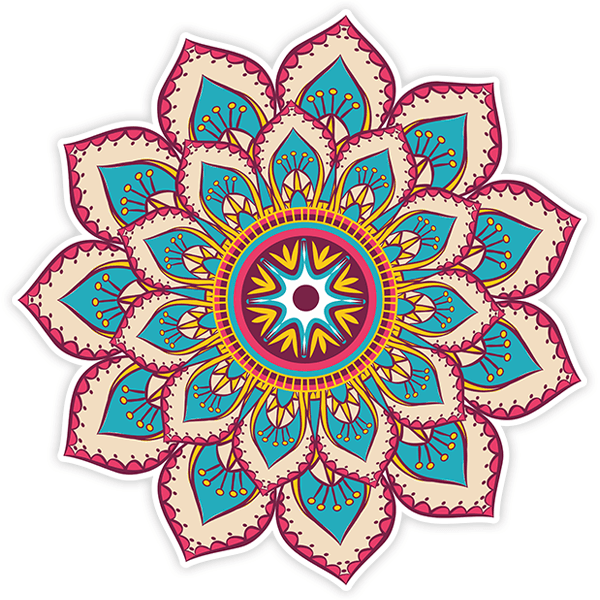 For the Hindu people the mandalas are known by the name of yantras, which is translated as a tool. Thus, yantras are instruments used to connect with the cosmic energy of the universe. Ideal for creating a relaxing atmosphere in your home. Size: 18 x 51 cm. 7.87 x 7.87 in. 11.81 x 11.81 in. 15.75 x 15.75 in. 19.69 x 19.69 in. 23.62 x 23.62 in. 27.56 x 27.56 in. 31.50 x 31.50 in. 35.43 x 35.43 in. 39.37 x 39.37 in. 43.31 x 43.31 in. 47.24 x 47.24 in. 51.18 x 51.18 in.